Note: Maximum value of shipments to Chile is limited to 1000 EUR (incl. freight / postage). 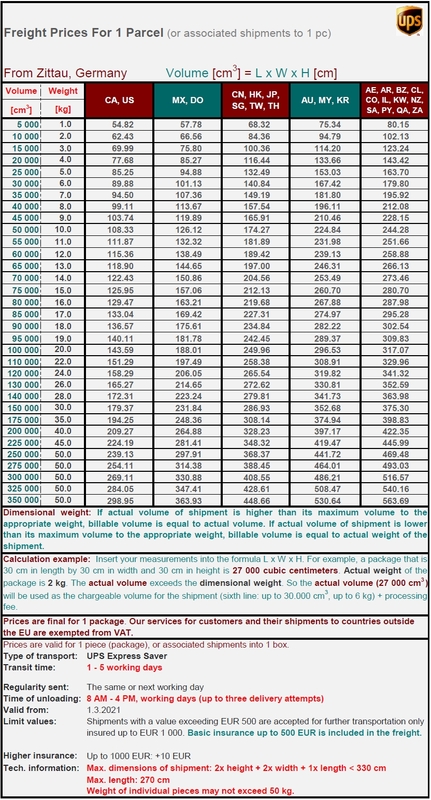 Maximum weight of shipments to Chile is limited to 20 kg. Faster transportation alternative suitable for larger shipments. 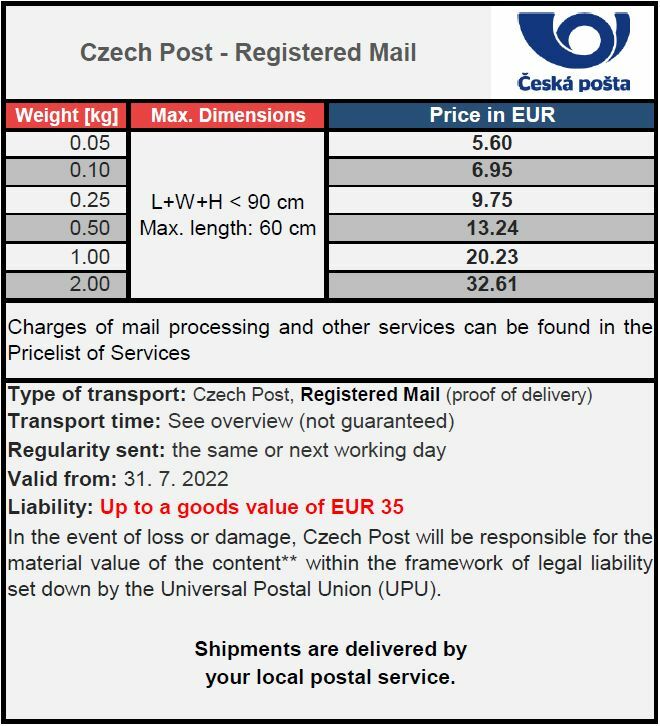 Priority shipment includes liability of up to EUR 500 in the case of loss or damage and shipment tracking. 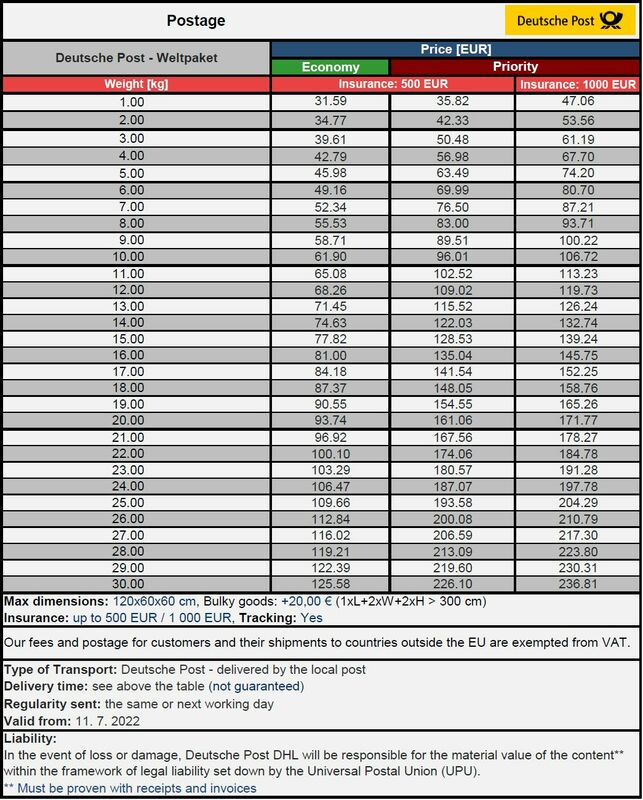 Usual transit time: 6 - 8 business days (priority), 10 - 14 business days (economy). Usual transit time: 6 - 12 business days (priority). Economy delivery is not offered to Chile.